Digital tools and smart technologies are opening up incredible possibilities for building engineers; and making critical routine maintenance work less of a chore. Last month, the city of Glasgow was left in despair after a second fire in four years ravaged its world-famous School of Art building. The Charles Rennie Mackintosh masterpiece was reduced to little more than a shell again before work on restoring the building after the previous fire was even complete. The debate about the School’s future resulted in a decision to completely demolish and start again. Naturally, the building’s many fans are horrified, but thanks to ever improving digital technology a total restoration can be achieved. After the last fire in 2014, a team from the School set about creating a fantastically detailed digital model of the original building from drawings and photographs. As a result, a full digital record exists, which would allow restorers to completely revive Mackintosh’s original vision, even if the physical building disappears. The existence of this model means that every single detail can be reproduced. This is an inspiring example of how the digital age is changing our built environment. Digital technology is already a fundamental part of how we live and go about our business, and it is now at the heart of some of the world’s most exciting building projects. Technology is also making life easier for building engineers on a more routine level. For example, fire safety is increasingly in the spotlight following the Grenfell Tower tragedy. This makes a strong case for harnessing digital tools so that building owners can carry out essential improvements more efficiently and effectively. Digital systems can be particularly useful in the area of fire safety servicing and maintenance where it is now possible to test every fire and smoke damper in a building without the need for ‘physical’ access to the ventilation system. Previously, this activity could be extremely disruptive because someone actually needed to get into the ductwork. By upgrading the system so that damper testing can be automatically instigated by the BMS via a damper control system on a regular, pre-programmed basis the building manager can rest easier again knowing that this crucial work is being done, but with minimum upset to tenants. Even finding dampers to see if they need servicing can be a tricky business – particularly in large and complex buildings like high-rise tower blocks and hospitals. With remote monitoring, each one can be mapped and tracked – and in multi-occupancy residential buildings, property owners can arrange for damper testing to be pre-programmed, which avoids the need to disrupt the lives of their tenants. Subsequently, reports from the damper system can be monitored by the building’s BMS and on mobile dashboards with email notifications sent to the building manager wherever in the world they may be. Control panels can be integrated into existing data networks and the client’s building management strategy, which is essential for both easing maintenance and reducing its cost. If additional expertise is required to analyse a fault, the manufacturer’s team can communicate directly with the BMS or control panel. As well as making buildings safer, an initial investment in smart digital connectivity dramatically reduces lifetime ownership costs for the building owner particularly if it is used to support collaborative working from an early stage in the design process. At Swegon, we use the digital approach to facilitate a joined up process – in partnership with consultants and contractors – to ensure the system is designed and installed in a way that ensures optimum working throughout a building’s operating life. The use of digital and smart systems also allows us to continue that collaboration well past the project’s handover into the service and maintenance functions that are so essential for the ongoing efficient operation of the building services. So, whether you are totally rebuilding an iconic listed building or simply keeping occupants safe in a commercial office or residential tower block for the long-term, it will increasingly pay to do it digitally. 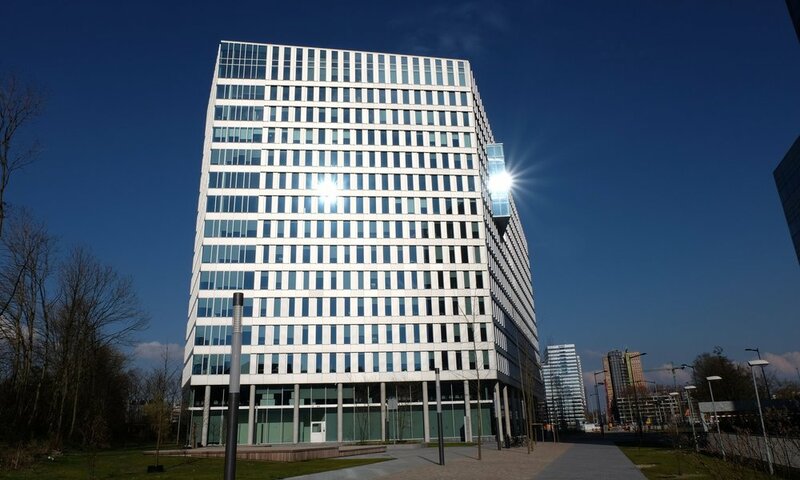 The Edge in Amsterdam has been described as one of the smartest buildings in the world as it uses technology such as Ethernet linked lighting with sensors to measure temperature and carbon dioxide levels. An iconic stadium in Liverpool uses Actionair SmokeShield PTC™ dampers and LNS4 control systems as part of its fire safety system, using smart technology to protect the stadium and its occupants in the event of a fire. Newer PostWhat is IEQ and why is it important? The building services industry is only just scratching the surface when it comes to what is possible with today’s digital technologies. We live in a ‘smart’ digital age, but sometimes that is hard to believe when you see how some buildings approach the control and maintenance of their services. What does Brexit mean for our industry? The UK’s decision to leave the EU next year has brought uncertainty to the UK and is a process that will undoubtedly affect us all. It may change the ways that we operate and could bring many opportunities. But how will it affect the construction industry and regulations? We have had many false digital dawns in the construction sector, but now it feels different. Progress on BIM is picking up pace and innovations like 3D printing are now being embraced more widely. Sign up to our email newsletter for regular updates. We are committed to providing innovative solutions for air distribution, ventilation, fire and smoke control and filtration solutions through the pursuit of excellence. © Copyright Swegon Air Management Ltd 2018. All Rights Reserved. Swegon are proud to be ISO9001 and ISO14001 Certified.